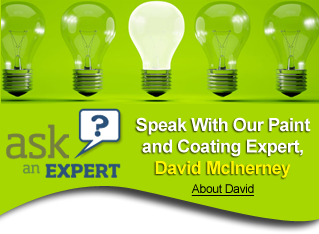 Your Commercial & Residential Painting Contractor! Since 1984, Mac & Ernie's Painting has earned a strong reputation for providing a wide array of decorative solutions to commercial, institutional and residential clients. Complete satisfaction is our goal. As one of the best painters in New Jersey and New York, we work with our clients to provide accurate proposals, detailed recommendations and precise attention to detail. 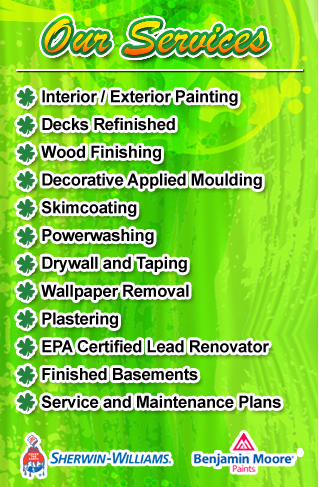 Mac & Ernies Painting exceeds expectations and displays a professional work ethic on every job. From start to finish we operate with professionalism and safety. Some of our Services offered throughout NY and NJ are Interior Painting, Exterior Painting, Decks Refinished, Wood Finishing, Decorative Applied Moulding, Skimcoating, Powerwashing, Drywall and Taping, Wallpaper Removal, Plastering, EPA Certified Lead Renovator, Finished Basements, Service and Maintenance Plans, Commercial Painter, Residential Painter, Industrial Painter, and more. Contact us for a FREE ESTIMATE, you will be glad you did. 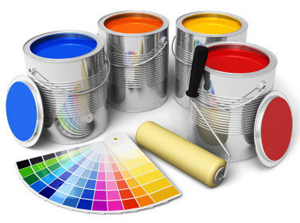 Mac & Ernie's Painters proudly serve both New York and New Jersey. We provide our superior painting services in Manalapan, Marlboro, Colts Neck, Howell, Freehold, Millstone, Hoboken, Sayreville, New Brunswick, Monroe, Wall, Rumson, Princeton, Monmouth County, Ocean County, East Brunswick, Cranberry, Hightstown, Jamesburg, West Windsor, East Windsor, Newark, Jackson, Old Bridge, Edison, Middlesex County, North Brunswick, Shrewsbury, Eatontown, Tinton Falls, Spring Lake, Dayton, Cranbury, South Brunswick, Red Bank, Brooklyn, Staten Island, and beyond. If you don't see your town on the list, Contact Us to set up a FREE ESTIMATE in your town!